Shocking images have emerged showing the mass drowning of farm animals in the wake of Hurricane Florence. The hurricane - a category 4 storm - has caused flooding across the Carolinas with more expected in coming days. Many of the victims of the storm are farmed animals - left to die, locked in inescapable buildings by farmers who fled to save themselves. 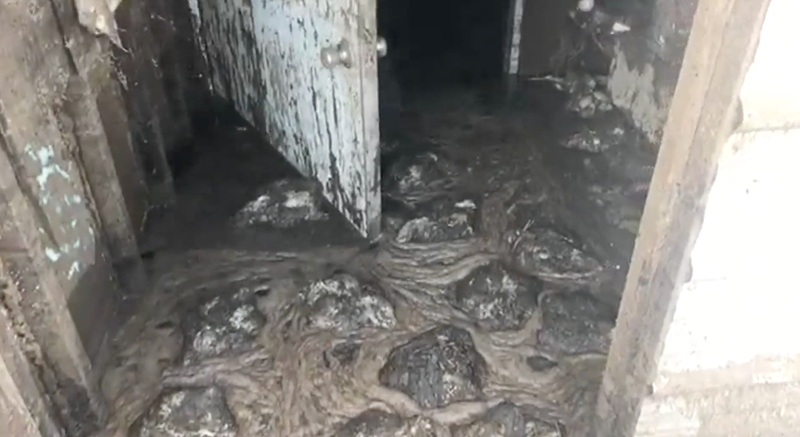 Now footage has emerged showing the extent of the devastation, as vegan activists with the animal rights network Direct Action Everywhere (DxE) and Brother Wolf Animal Sanctuary, as well as independent activists, entered flooded North Carolina factory farms in the aftermath of Hurricane Florence. 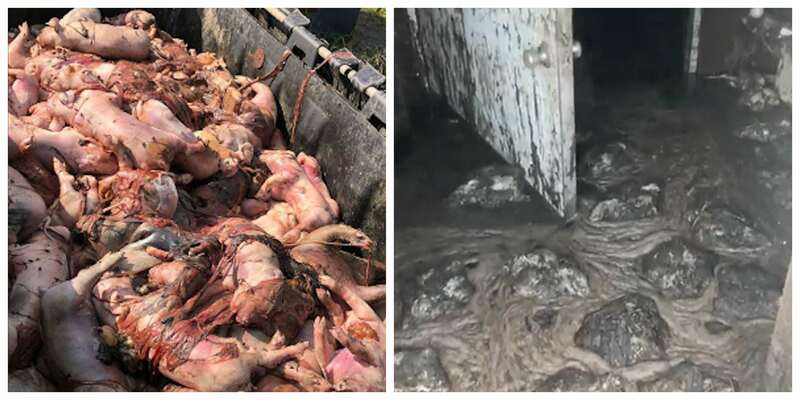 "Activists found barns with thousands of drowned chickens, and dumpsters filled with hundreds of dead piglets, as well adult pigs," said a spokesperson for DxE in a statement sent to Plant Based News. "These animals are sensitive, intelligent individuals, yet corporations intentionally neglect them to brutal deaths for the sake of the bottom line," added activist Arwen Carlin. Millions of animals left trapped in these farming facilities have died, according to statistics released by the North Carolina Department of Agriculture and Consumer Services on September 18. The department says the death toll has reached 5,500 pigs, and 3.4 million chickens and turkeys. And the toll could rise. "These numbers could change based on further recovery efforts," a statement from the department said.